Metacinnabar: Mineral information, data and localities. Named for the Greek meta meaning with, and cinnabar in allusion to the frequent association of the two minerals. Forms a series with tiemannite (HgSe). 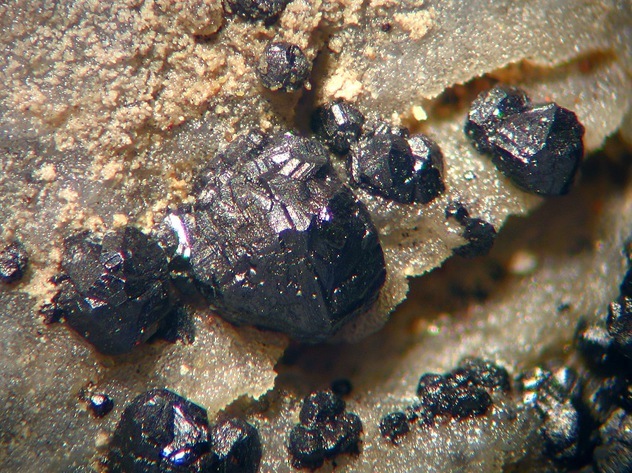 Leviglianite Zn-bearing variety of metacinnabar. Onofrite A selenium-bearing variety of metacinnabar, with up to 1 part in 5 of selenium to sulphur. Originally reported from San Onofre, Plateros, Zacatecas, Mexico. Not to be confused with Onofrite (of Köhler). Selenian Metacinnabar A selenium-bearing variety of metacinnabar. Cinnabar 22 photos of Metacinnabar associated with Cinnabar on mindat.org. Dolomite 3 photos of Metacinnabar associated with Dolomite on mindat.org. Vrbaite 3 photos of Metacinnabar associated with Vrbaite on mindat.org. Calcite 3 photos of Metacinnabar associated with Calcite on mindat.org. Carpathite 3 photos of Metacinnabar associated with Carpathite on mindat.org. Idrialite 3 photos of Metacinnabar associated with Idrialite on mindat.org. Tvalchrelidzeite 3 photos of Metacinnabar associated with Tvalchrelidzeite on mindat.org. Hausmannite 2 photos of Metacinnabar associated with Hausmannite on mindat.org. Hypercinnabar 1 photo of Metacinnabar associated with Hypercinnabar on mindat.org. Quartz 1 photo of Metacinnabar associated with Quartz on mindat.org. 3.5.12 Crookesite Cu7(Tl, Ag)Se4 Tet. Contains mercury - always wash hands after handling. Avoid inhaling dust when breaking. Never lick or ingest. Do not heat in an unventilated environment - emits toxic Hg fumes. Moore, G.E. (1870) Ueber das Vorkommen des amorphen Quecksilbersulfids in der Natur. Journal für Praktische Chemie: 110: 319-329. Durand, F.E. (1873) Notes on the crystallization of metacinnabarite. Proceedings of the California Academy of Sciences, ser. 1, 4(1): 219–220, figs. 1–2. Penfield, S.L. (1885) Crystallized tiemannite and metacinnabarite. American Journal of Science: 29: 449-454. Penfield, S.L. (1892) Notes on the crystallography of metacinnabarite. American Journal of Science, 3rd. series: 44: 383. Schrauf, A. (1892) Ueber Metacinnaberit von Idria und dessen Paragenesis. Jahrbuch der Kaiserlich-Königlichen Geologischen Reichsanstalt: 41: 349-400. Lehmann, W.M. (1924) Rontgenographische Untersuchungen an naturlichem und synthetischem Metacinnabarit (HgS). Zeitschrift für Kristallographie, Band 60: 379-413; Mineralogical Abstracts: 2: 510-511 (1925). Palache, C., Berman, H., Frondel, C. (1944) The System of Mineralogy of James Dwight Dana and Edward Salisbury Dana Yale University 1837-1892, Volume I: Elements, Sulfides, Sulfosalts, Oxides. John Wiley and Sons, Inc., New York. 7th edition, revised and enlarged, 834pp. : 215-217. Dickson, F.W., Tunnell, G. (1959) The Stability Relations of Cinnabar and Metacinnabar. American Mineralogist: 44: 471-487. Potter, R.W., Barnes, H.L. (1978) Phase relations in the binary Hg-S. American Mineralogist: 63: 1143-1152. Biagioni, C., Orlandi, P. (2009) Tiemannite e metacinabro della miniera Buca Della Vena (Alpi Apuane). Atti della Società Toscana di Scienze Naturali, Memorie, Serie A: 114: 13-17. Borisov, S.V., Magarill, S.A., Pervukhina, N.V. (2009) Characteristic features of crystal chemistry of natural mercury-containing sulfides and sulfosalts. Journal of Structural Chemistry: 50: 853-860. Ballirano, P., Botticelli, M., Maras, A. (2013) Thermal behavior of cinnabar, α-HgS, and the kinetics of the β-HgS (metacinnabar) ￫ α-HgS conversion at room temperature. European Journal of Mineralogy: 25: 957-965. Biagioni, C., Musetti, S., Pasero, M. (2017) New data on metacinnabar from Tuscany (Italy). Atti della Società Toscana di Scienze Naturali, Memorie, Serie A: 124: 13-18. The following Metacinnabar specimens are currently listed for sale on minfind.com. de Brodtkorb, M. K.; Gay, H. D.; Sureda, R. J. (1993): Polymetallic selenide-sulfide minerals of the Los Llantenes mining district, La Rioja, Argentina. Maurice, Yvon T. (Ed. ), Proc. 8th Quadrenn. IAGOD Symp., 119-125. 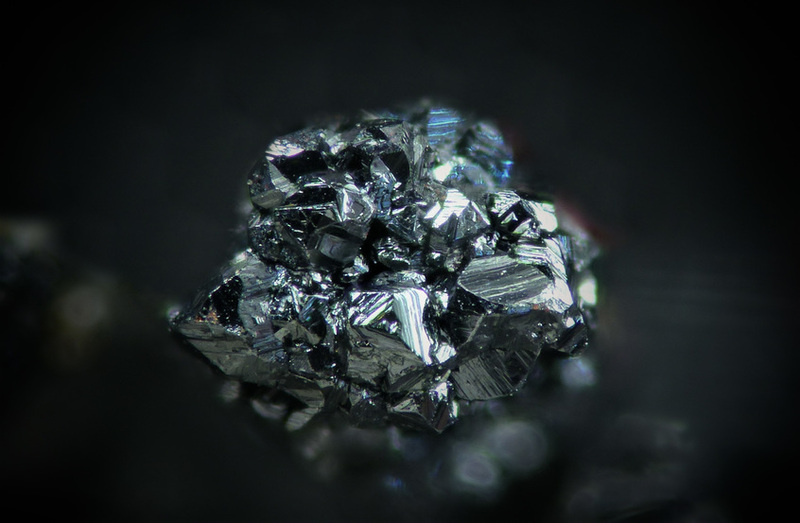 Schachinger, T., Kolitsch, U., Bernhard, F. & Bojar, H.-P. (2014): Erzmineralisationen und ihre Verwitterungsprodukte aus dem weiteren Bereich der Steirischen und Lungauer Kalkspitze. Der Steirische Mineralog 28, 8-21. Meixner, H. (1980); Lapis 8(4), 14-24 (1983); Josef Taucher & Christine Elisabeth Hollerer (2012): Metacinnabarit mit Cinnabarit auf Fe-Dolomit von der Schiller Etage am Steirischen Erzberg bei Eisenerz, Steiermark. Der Steirische Mineralog 26, 57-58. ATANASSOVA, S. THE PRESERVED MINERAL DIVERSITY OF SEDMOCHISLENITSI DEPOSIT, VRATSA ORE REGION. Pauliš, P: Nejzajímavější mineralogická naleziště Moravy a Slezska. Kutná Hora: Kuttna, 2001, s. 42-44.
ⓘ Storch und Schöneberg Mine ? Asadi, H.H., Voncken, J.H.L, Kühnel, R.A., and Hale, M. (2000): Mineralium Deposita 35, 656-671. Steed, G.M. in Andrew, C.J., Crowe, R.W.A., Finlay, S., Pennell, W.M. and Pyne, J.F., eds. (1986) Geology and genesis of mineral deposits in Ireland, Irish Association for Economic Geology, Dublin Conference, 1984, pp. 481-499.; Ryback, G., Nawaz, R. and Farley, E. (1988) Seventh Supplementary List of British Isles Minerals (Irish). Mineralogical Magazine, vol. 52, n° 365, pp. 267-274. Del Caldo, A., Moro, C., Gramaccioli, C.M., Boscardin, M. (1973) Guida ai minerali. Fratelli Fabbri Editori, Milano, 208 pp. ; De Michele, V. (1974) Guida mineralogica d'Italia. Istituto Geografico De Agostini, Novara, 2 vol., 408 pp. Gatti L.C. (1965): Il nuovo giacimento mercurifero di Catabbio (GR). L'Industria Mineraria, 16, 465-476. D'Achiardi, A, (1876): Su di alcuni minerali toscani. Guadalcazarite di Levigliani. Atti Soc. Tosc. Sci. Nat., Mem., 2, 112-113); Manasse, E. (1920): Sulla leviglianite. Atti Soc. Tosc. Sci. Nat., Mem., 33, 156-163; Dini A., 1995. 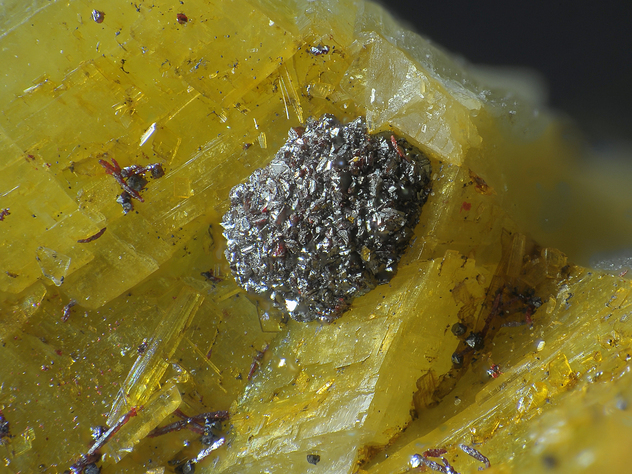 Metacinabro zincifero (leviglianite) e sfalerite mercurifera della miniera di Levigliani (Alpi Apuane, Toscana). Atti Soc. Tosc. Sci. Nat., Mem., 102: 67-72. Biagioni, C. & Orlandi, P. (2009). Tiemannite e metacinabro della miniera Buca della Vena (Alpi Apuane). Atti della Società Toscana di Scienze Naturali, Memorie, 114, 13-17. Meli R., 2002. Giacimenti da non dimenticare: Pietrineri (Val d'Orcia, Siena). Riv. Miner. Ital. 2: 70-73. Dr. Kameki Kinoshita collection (curated at Geological Survey of Japan); Yajima, S. (1960). Metacinnabar from Sarawak and Japan, with Reference to Its Stability Relations to Cinnabar. Mineralogical Journal, 3(1), 9-18. Geology and Mineral Resources of Japan (Geological Survey of Japan, 1960); Yajima, S. (1960). Metacinnabar from Sarawak and Japan, with Reference to Its Stability Relations to Cinnabar. Mineralogical Journal, 3(1), 9-18. Dr. Yohachiro Okamoto collection (conserved by the Geological Survey of Japan); Yajima, S. (1960). Metacinnabar from Sarawak and Japan, with Reference to Its Stability Relations to Cinnabar. Mineralogical Journal, 3(1), 9-18. Gallagher, D., & Siliceo, R. P. (1948). Geology of the Huahuaxtla Mercury District, State of Guerrero, Mexico (USGS Bulletin 960). US Government Printing Office. Panczner (1987): 135-372.; Gallagher, D., & Siliceo, R. P. (1948). Geology of the Huahuaxtla Mercury District, State of Guerrero, Mexico (USGS Bulletin 960). US Government Printing Office. Geologiya rtutnyhmestorogdeniy i proyavleniy Ukrainy (Geology of mercurial deposits and ore occurences in Ukraine)-,Kiev:Naukova Dumka,1975. ⓘ Gayskoe Zn-Cu deposit (Gayskoye; Gaiskoye) ? Belogub, E.V., Novoselov, K.A., Yakovleva, V.A., and Spiro, B. (2008): Ore Geology Reviews 33, 239-254. Pervukhina, N. V., & Romanenko, G. V. (1999). New Data On The Mercury Oxide-Chloride Mineral Poyarkovite: The Second Find, And Crystal. Structure Determination. Canadian Mineralogist 37:119-126; Pervukhina, N. V., Vasil’ev, V. I., Borisov, S. V., Magarill, S. A., & Naumov, D. Y. (2003). The crystal structure of a polymorph of Hg2+ 3S2Br1. 0Cl0. 5I0. 5. The Canadian Mineralogist, 41(6), 1445-1453. Calvo, M. (2003) Minerales y Minas de España. Vol II. Sulfuros y sulfosales. Museo de Ciencias Naturales de Alava. Vitoria. 705 págs. Sainz de Baranda Graf, B., Menor Salvan, C. (2019) The Almadén mining district, Ciudad Real, Spain. The Mineralogical Record, 50 (1), 11-60. Olia, V. J. , Mila, C.C. & Alvarez, C.N. (1990):Sobre la presencia de sulfuro de mercurio cilbico(Metacinabrio) en el distrito minero de Almadén(Ciudad Real, España). Treb. Mus. Geol. Barcelona, 1: 209-218 Sainz de Baranda Graf, B. and Menor Salvan, C. (2019) The Almadén mining district, Ciudad Real, Spain. The Mineralogical Record, 50 (1), 11-60. -Miras,A.(1991). Geoquímica y Miberalogénesis de los Depósitos de Barita de Badajoz y Sevilla (Zona Central de Ossa-Morena). Tesis Doctoral. Universidad de Sevilla. 481 págs. Özgür, N., Halbach, P., Pekdeğer, A., Sommer-von Jarmersted, C., Sönnez, N., Dora, O.Ö., Ma, C.-S., Wolf, M., and Stichler, W. (1997), In: Papunen, H. (ed. ): Proc. 4th Biennial SGA Meeting, Turku (Finland), August 11-13, 1997, 269-273. Anthony, J.W., et al (1995), Mineralogy of Arizona, 3rd.ed. : 174-175; Lausen, C. (1926), Tourmaline-bearing cinnabar veins of the Mazatzal Mountains, AZ, Econ.Geol. : 21: 782-791. Anthony, J.W., et al (1995), Mineralogy of Arizona, 3rd.ed. : 153, 211. Anthony, J.W., et al (1995), Mineralogy of Arizona, 3rd.ed. : 294; Lausen, C. (1926), Tourmaline-bearing cinnabar veins of the Mazatzal Mountains, AZ, Econ.Geol. : 21: 782-791. Keith, Stanton B. (1978) State of Arizona Bureau of Geology and Mineral Technology, Geol. Sur. Br. Bull. 192, Index of Mining Properties in Yuma Co., Arizona: 156 (Table 4). Anthony, J.W., et al (1995), Mineralogy of Arizona, 3rd.ed. : 294; Galbraith, F.W. (1947), Minerals of AZ, AZ Bur. of Mines Bull. 153: 19. Orr, R. L. (1990). Geology and mineralization associated with the early proterozoic alder group, the Sunflower Mining District, Maricopa and Gila Counties, Arizona. Masters thesis: University of Arizona. Roberts, A.C. et al (2003), The Canadian Mineralogist: 41(3): 721-725. Rocks & Min. :63:115; Clardy & Bush(1976). Becker, George F. (1888b), Geology of the quicksilver deposits of the Pacific slope: USGS Monograph 13, atlas: 367; Murdoch, Joseph & Robert W. Webb (1966), Minerals of California, Centennial Volume (1866-1966): California Division Mines & Geology Bulletin 189: 261. Ross, C.P. (1940a) Quicksilver deposits of the Mount Diablo region, Contra Costa County, California. USGS Bulletin 922-B, 54 pp. : 41; Pampeyan, Earl Haig (1963), Geology and mineral deposits of Mount Diablo, Contra Costa County, California: California Division Mines & Geol., Special Report 80, 31 pp. : 24; Murdoch, Joseph & Robert W. Webb (1966), Minerals of California, Centennial Volume (1866-1966): California Division Mines & Geology Bulletin 189: 148, 254, 261, 349. Pampeyan, Earl Haig (1963), Geology and mineral deposits of Mount Diablo, Contra Costa County, California: California Division Mines & Geology, Special Report 80, 31 pp. : 22; USGS MRDS database (2005), loc. file ID #10029554. Waring, Clarence A. & Emile Huguenin (1919), Inyo County: California Mining Bureau. Report 15: 121; Murdoch, Joseph & Robert W. Webb (1966), Minerals of California, Centennial Volume (1866-1966): California Division Mines & Geology Bulletin 189: 148, 262; Pemberton, H. Earl (1983), Minerals of California; Van Nostrand Reinholt Press: 321. Norman, L.A. & Richard M. Stewart (1951), Mines and mineral resources of Inyo County, California: California Journal of Mines and Geology: 47: 84; Murdoch, Joseph & Robert W. Webb (1966), Minerals of California, Centennial Volume (1866-1966): California Division Mines & Geology Bulletin 189: 262. Warner, Thor (1930), Mercury deposit in Coso Range, Inyo County, California: California Mining Bureau. Report 26: 59-63; Murdoch, Joseph & Robert W. Webb (1966), Minerals of California, Centennial Volume (1866-1966): California Division Mines & Geology Bulletin 189: 262.
www.mineralsocal.org; U.S. Geological Survey, 2005, Mineral Resources Data System: U.S. Geological Survey, Reston, Virginia. Mineral News: 16(9):1; Gail E. Dunning, Yves MoÎlo, and Joseph F. Cooper, Jr. (2000) Ag-Cu-Pb-Bi Sulfosalts New to Darwin, Inyo County, California; Margerum, W. (2004) The Darwin Tungsten Area Part II: Mines and Mineralogy in the Bulletin of the Mineralogical Society of Southern California Vol. 74(5). Hill, R.L. (1972) Geology and geochemistry of El Capitan mercury mine, Last Chance Range, Inyo County, California. Unpublished Master’s thesis, University of California, Los Angeles; Pemberton, H. Earl (1983), Minerals of California; Van Nostrand Reinholt Press: 115. Pemberton, H. Earl (1983), Minerals of California; Van Nostrand Reinholt Press: 115. Bailey, Edgar H. (1942), Quicksilver deposits of the Parkfield district, California: USGS Bulletin 936-F: 143-166; Pemberton, H. Earl (1983), Minerals of California; Van Nostrand Reinholt Press: 115. Bailey, Edgar H. (1942), Quicksilver deposits of the Parkfield district, California: USGS Bulletin 936-F: 143-169.; Southern Pacific Company (1964b) Minerals for Industry, Vol III - Southern California, 242 pp. : 14-15; Pemberton, H. Earl (1983), Minerals of California; Van Nostrand Reinholt Press: 115. Yates, Robert G. & Lowell S. Hilpert (1946), Quicksilver deposits of eastern Mayacmas district, Lake and Napa Counties, California: California Journal of Mines and Geology, California Division of Mines (Report 42): 42: 231-286; Pemberton, H. Earl (1983), Minerals of California; Van Nostrand Reinholt Press: 116. Hanks (1884) : 261 ? ; Murdoch, Joseph & Robert W. Webb (1966), Minerals of California, Centennial Volume (1866-1966): California Division Mines & Geology Bulletin 189: 262; Pemberton, H. Earl (1983), Minerals of California; Van Nostrand Reinholt Press: 116. Ransome, Alfred Leslie & J.L. Kellogg (1939), Quicksilver resources of California: California Division Mines Report 35: 392; Murdoch, Joseph & Robert W. Webb (1966), Minerals of California, Centennial Volume (1866-1966): California Division Mines & Geology Bulletin 189: 262; Rocks & Minerals: 19: 40-41; Rocks & Minerals: 22: 613-614. Becker, George F. (1888b), Geology of the quicksilver deposits of the Pacific slope: USGS Monograph 13, atlas: 286, 368; Palache, C., Berman, H. & Frondel, C. (1944), The System of Mineralogy of James Dwight Dana and Edward Salisbury Dana, Yale University 1837-1892, 7th. edition, Volume I: 216; Murdoch, Joseph & Robert W. Webb (1966), Minerals of California, Centennial Volume (1866-1966): California Division Mines & Geology Bulletin 189: 254, 262. Aubury, Lewis E. (1903), The quicksilver resources of California: California Mining Bureau Bulletin 27: 47; Murdoch, Joseph & Robert W. Webb (1966), Minerals of California, Centennial Volume (1866-1966): California Division Mines & Geology Bulletin 189: 262. Dickson, F.W. & G. Tunell (1959), Stability relations of cinnabar and metacinnabar: American Mineralogist: 44: 484; Murdoch, Joseph & Robert W. Webb (1966), Minerals of California, Centennial Volume (1866-1966): California Division Mines & Geology Bulletin 189: 148, 262. Raab, W.J. and Dickson, F.W. (1969) Deposition of cinnabar and metacinnabar at Cedarville Hot Springs, California. Geological Society of America Abstracts, Cordilleran section, 64th. annual meeting, April 11, 1968: 99; Pemberton, H. Earl (1983), Minerals of California; Van Nostrand Reinholt Press: 117. Aubury, Lewis E. (1903), The quicksilver resources of California: California Mining Bureau Bulletin 27: 124; Murdoch, Joseph & Robert W. Webb (1966), Minerals of California, Centennial Volume (1866-1966): California Division Mines & Geology Bulletin 189: 262.
ⓘ Old Murry Mine (Murray Mine; Old Murray No. 1 Mine; Dutro Mine; Dutra Mine) ? Hart, E.W. (1966) Mines and mineral resources of Monterey County, California. California Division Mines and Geology County Report 5, 142 pp. : 72-73; Holmes, G.H. (1965) Mercury in California. US Bureau of Mines Information Circular 8252: 155; Pemberton, H. Earl (1983), Minerals of California; Van Nostrand Reinholt Press: 118. Kim, C. S., Rytuba, J. J., & Brown Jr, G. E. (2004). Geological and anthropogenic factors influencing mercury speciation in mine wastes: an EXAFS spectroscopy study. Applied Geochemistry, 19(3), 379-393. Pemberton, H. Earl (1983), Minerals of California; Van Nostrand Reinholt Press: 118. Melville, William Harlow & Waldemar Lindgren (1890), Contributions to the mineralogy of the Pacific coast: USGS Bulletin 61, 40pp. : 22; Murdoch, Joseph & Robert W. Webb (1966), Minerals of California, Centennial Volume (1866-1966): California Division Mines & Geology Bulletin 189: 262; Pemberton, H. Earl (1983), Minerals of California; Van Nostrand Reinholt Press: 118. Murdoch, Joseph & Robert W. Webb (1966), Minerals of California, Centennial Volume (1866-1966): California Division Mines & Geology Bulletin 189: 262. Genth, Frederick Augustus & Samuel Lewis Penfield (1892), Contributions to mineralogy, No. 54, with crystallographic notes: American Journal of Science, 3rd. series: 44: 383; Murdoch, Joseph & Robert W. Webb (1966), Minerals of California, Centennial Volume (1866-1966): California Division Mines & Geology Bulletin 189: 262. Yates, Robert G. & Lowell S. Hilpert (1945), Quicksilver deposits of central San Benito and northwestern Fresno Counties, California: California Journal of Mines and Geology, California Division of Mines (Report 41): 41: 11-35; Holmes, Jr., G.W. (1965), Mercury in California: in: U.S. Bureau of Mines Information Circular 8252: 138-144; Pemberton, H. Earl (1983), Minerals of California; Van Nostrand Reinholt Press: 121. Yates, Robert G. & Lowell S. Hilpert (1945), Quicksilver deposits of central San Benito and northwestern Fresno Counties, California: Calif. Div Mines Report 41: 11-35; Holmes, G.H. (1965) Mercury in California. US Bureau of Mines Information Circular 8252: 138-144; Pemberton, H. Earl (1983), Minerals of California: 121. Ransome, Alfred Leslie & J.L. Kellogg (1939), Quicksilver resources of California: California Journal of Mines and Geology, California Division Mines (Report 35): 35: 430; Yates, Robert G. & Lowell S. Hilpert (1945), Quicksilver deposits of central San Benito and northwestern Fresno Counties, California: California Division of Mines Report 41: 11-35; Holmes, Jr., G.W. (1965), Mercury in California: in: U.S. Bureau of Mines Information Circular 8252; Pemberton, H. Earl (1983), Minerals of California; Van Nostrand Reinholt Press: 121. Becker, George F. (1888b), Geology of the quicksilver deposits of the Pacific slope: USGS Monograph 13, atlas: 380; Melville, William Harlow & Waldemar Lindgren (1890), Contributions to the mineralogy of the Pacific coast: USGS Bulletin 61, 40pp. : 23; Bradley, W.W. (1918), Quicksilver resources of California, with a section on metallurgy and ore dressing: California Mining Bureau. Bulletin 78, 389 pp. : 46; Murdoch, Joseph & Robert W. Webb (1966), Minerals of California, Centennial Volume (1866-1966): California Division Mines & Geology Bulletin 189: 262. Dunning, Hadley, Cooper, Magnasco collections; Mineralogical Record (1993): 24: 471-475. Murdoch, Joseph & Robert W. Webb (1966), Minerals of California, Centennial Volume (1866-1966): California Division Mines & Geology Bulletin 189: 262; Pemberton, H. Earl (1983), Minerals of California; Van Nostrand Reinholt Press: 120; www.mineralsocal.org. Rogers, Austin Flint (1912), Notes on rare minerals from California: Columbia University, School of Mines Quarterly: 33: 373; Murdoch, Joseph & Robert W. Webb (1966), Minerals of California, Centennial Volume (1866-1966): California Division Mines & Geology Bulletin 189: 262. Bradley, W.W. (1918), Quicksilver resources of California, with a section on metallurgy and ore dressing: California Mining Bureau. Bulletin 78, 389 pp. : 101; Murdoch, Joseph & Robert W. Webb (1966), Minerals of California, Centennial Volume (1866-1966): California Division Mines & Geology Bulletin 189: 262. Davis, Fenelon Francis and E.H. Bailey (1966) Mercury. California Division Mines and Geology Bulletin 191: 252; Pemberton, H. Earl (1983), Minerals of California; Van Nostrand Reinholt Press: 121. Mining and Scientific Press (1904), Cinnabar in San Luis Obispo County, California: Mining and Scientific Press: 89: 323; Murdoch, Joseph & Robert W. Webb (1966), Minerals of California, Centennial Volume (1866-1966): California Division Mines & Geology Bulletin 189: 260. Dunning, Gail, The Challenge Mercury Deposit, Redwood City, San Mateo County, California., BAM Journal, Vol. 9 No. 1. Davis, Fenelon Francis (1955), Mines and mineral resources of San Mateo County, California: California Journal of Mines and Geology: 51(4): 414-415; Holmes, Jr., G.W. (1965), Mercury in California: in: U.S. Bureau of Mines Information Circular 8252: 127; Pemberton, H. Earl (1983), Minerals of California; Van Nostrand Reinholt Press: 121-122; Murdoch, Joseph & Robert W. Webb (1966), Minerals of California, Centennial Volume (1866-1966): California Division Mines & Geology Bulletin 189: 150, 260, 262, 362. Pemberton, H. Earl (1983), Minerals of California; Van Nostrand Reinholt Press: 122. Bailey, Edgar H. & W. Bradley Myers (1942), Quicksilver and antimony deposits of Stayton district, California: USGS Bulletin 931-Q: 405-434; Pemberton, H. Earl (1983), Minerals of California; Van Nostrand Reinholt Press: 117; Mineralogical Record (1989): 20: 428-430. Melville, William Harlow (1890), Metacinnabarite from New Almaden, California: American Journal of Science, 3rd. series: 40: 292; Melville, William Harlow (1891), Metacinnabarite from New Almaden, California: USGS Bulletin 78: 80-83; Murdoch, Joseph & Robert W. Webb (1966), Minerals of California, Centennial Volume (1866-1966): California Division Mines & Geology Bulletin 189: 263. Melville, William Harlow (1890), Metacinnabarite from New Almaden, California: American Journal of Science, 3rd. series: 40: 291-295; Melville, William Harlow (1891), Metacinnabarite from New Almaden, California: USGS Bulletin 78: 80-83. Hobson, John B. (1890), Nevada, Placer, Siskiyou Counties: California In. Bureau Report 10: 658; Aubury, Lewis E. (1903), The quicksilver resources of California: California Mining Bureau Bulletin 27: 196; Bradley, W.W. (1918), Quicksilver resources of California, with a section on metallurgy and ore dressing: California Mining Bureau. Bulletin 78, 389 pp. : 169; O’Brien, J.C. (1947), Mines and mineral resources of Siskiyou County: California Journal of Mines and Geology, California Division Mines (Report 43): 43(4): 459-460. Bradley, W.W. (1918), Quicksilver resources of California, with a section on metallurgy and ore dressing: California Mining Bureau. Bulletin 78, 389 pp. : 172; Holmes, G.H. (1965) Mercury in California. US Bureau of Mines Information Circular 8252: 124-126; Pemberton, H. Earl (1983), Minerals of California; Van Nostrand Reinholt Press: 123. Pemberton, H. Earl (1983), Minerals of California; Van Nostrand Reinholt Press: 123-124. Pemberton, H. Earl (1983), Minerals of California; Van Nostrand Reinholt Press: 124. Wright, F.E. & E.T. Allen (1925), Curtisite, a new organic mineral from Skaggs Springs, Sonoma County, California (abstract): American Mineralogist: 11: 67 (1925): 169; Everhart, Donald Lough (1950a), Skaggs Springs quicksilver mine, Sonoma County, California: California Journal of Mines and Geology: 46: 390; White, D.E. (1967) Mercury and base-metal deposits with associated thermal and mineral waters. In: H.L. Barnes (Editor), Geochemistry of hydrothermal ore deposits. Holt Reinhart and Winston, New York: 590; Pemberton, H. Earl (1983), Minerals of California; Van Nostrand Reinholt Press: 124, 343; American Mineralogist (2009): 94: 1325–1332. Aubury, Lewis E. (1903), The quicksilver resources of California: California Mining Bureau Bulletin 27: 106; Bradley, W.W. (1918), Quicksilver resources of California, with a section on metallurgy and ore dressing: California Mining Bureau. Bulletin 78, 389 pp. ; Murdoch, Joseph & Robert W. Webb (1966), Minerals of California, Centennial Volume (1866-1966): California Division Mines & Geology Bulletin 189: 263. Aubury, Lewis E. (1903), The quicksilver resources of California: California Mining Bureau Bulletin 27: 102; Bradley, W.W. (1918), Quicksilver resources of California, with a section on metallurgy and ore dressing: California Mining Bureau. Bulletin 78, 389 pp. : 185; Murdoch, Joseph & Robert W. Webb (1966), Minerals of California, Centennial Volume (1866-1966): California Division Mines & Geology Bulletin 189: 150, 261, 263; Pemberton, H. Earl (1983), Minerals of California; Van Nostrand Reinholt Press: 124. Crawford, James John (1894), Twelfth report of the State Mineralogist: California Mining Bureau. Report 12: 371; Murdoch, Joseph & Robert W. Webb (1966), Minerals of California, Centennial Volume (1866-1966): California Division Mines & Geology Bulletin 189: 263. Hanks, Henry Garber (1884), Fourth report of the State Mineralogist: California Mining Bureau. Report 4, 410 pp. : 261; Hanks, Henry Garber (1886), Sixth report of the State Mineralogist: California Mining Bureau. Report 6 part 1, 145 pp. : 122; Murdoch, Joseph & Robert W. Webb (1966), Minerals of California, Centennial Volume (1866-1966): California Division Mines & Geology Bulletin 189: 263; Pemberton, H. Earl (1983), Minerals of California; Van Nostrand Reinholt Press: 124-125.
ⓘ Rock Creek District ? Rocks & Minerals: 66(1): 202. Mccaskey, H.D., 1912, Quicksilver In 1911, Production And Resources, Advance Chapter From Mineral Resources Of United States For 1911, P. 28-29.